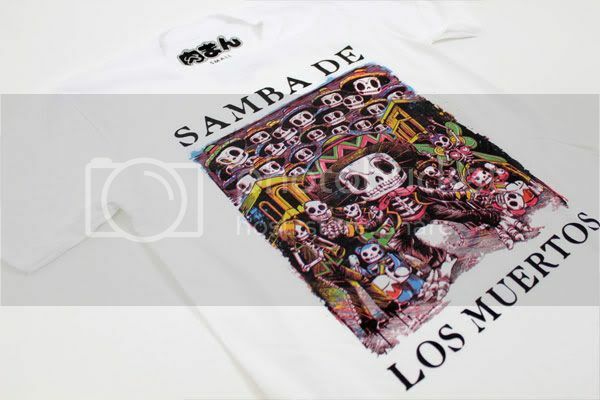 Cool Samba de amigo-inspired T-shirt for Dia de los muertos. 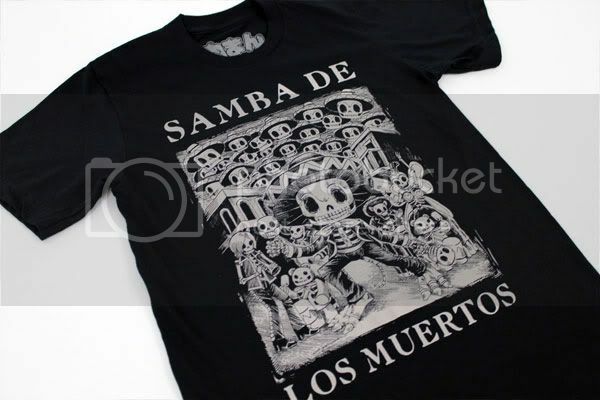 The folks over at MeatBun.us have come up with a special T-shirt inspired by Samba de amigo for Dia de los Muertos. Here's a preview of the two styles. Head on over there to order or read their complete article on the idea behind the shirt.